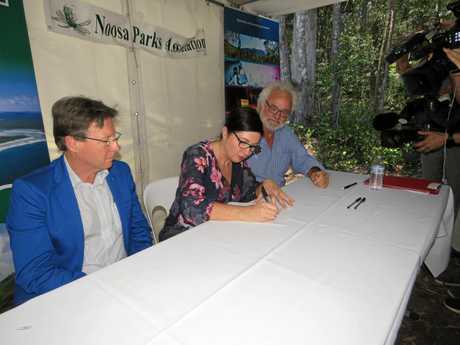 A HISTORIC $3.5 million conservation agreement has now been signed and sealed, cementing the handover of 2400 hectares of state forest land for national park in the shire of Noosa. And apart from a couple of guest koalas, the guest list for the event was star-studded with Noosa names along with environment minister Leeane Enoch, state public servants, forestry, Parks and Wildlife, Noosa Parks, council staff and councillors, along with the major movers and shakers who pulled off this "gargantuan” feat, including a rare public appearance from former mayor Noel Playford. The plantation trees are already being removed from parts of Yurong and Ringtail state forest land stretching from Cooroy and Pomona to Boreen Point and Tewantin. Over the next 10 years, the harvesting timber, up until now owned and operated by HQPlantations, will be phased out and the land will connect the existing Tewantin and Cooloola national parks, forming more than 5000 hectares of endangered and potentially endangered wildlife corridors across the shire, including koalas, an emotional mayor Tony Wellington said. "Today's celebration is a landmark for a hugely innovative conservation project,” he said. 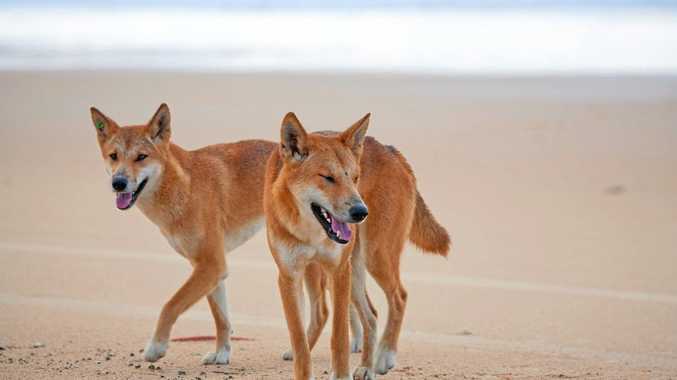 Perhaps unsurprisingly, the inexhaustible Noosa Parks Association president and pioneer of this "dream”, Michael Gloster, warned the mayor tongue-in-cheek he may be proved wrong in time, while explaining how unique the agreement was. "When we approached (then-environment minister) Rod Welford 20 years to go up to Double Island Point, there was widespread disbelief among senior public servants across a number of (state) departments that a community group could deliver [this],” he said. "Welford defied the advice he was given, and today we have proved it. "There's only one model where you can get an eco-tourism industry - yes, the private sector can do it - but so can community groups working with council. "And we might just be putting in another expression of interest,” he added to much laughter. 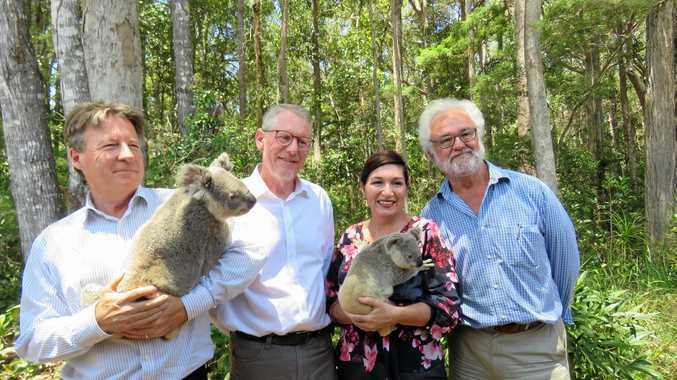 Minister Enoch said the partnership was the first of its kind between all three government levels and community, and land was "core koala habitat [which] will go a long way to protect koala populations in the Noosa area”.